Dated 28th received 29th August 1933. Your telegram of the 28th August, No. 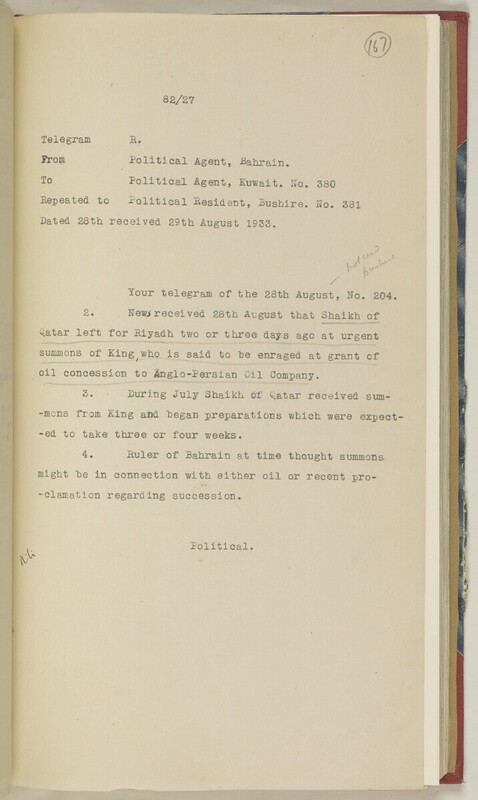 204.
oil concession to Anglo-Persian Oil Company. -ed to take three or four weeks.